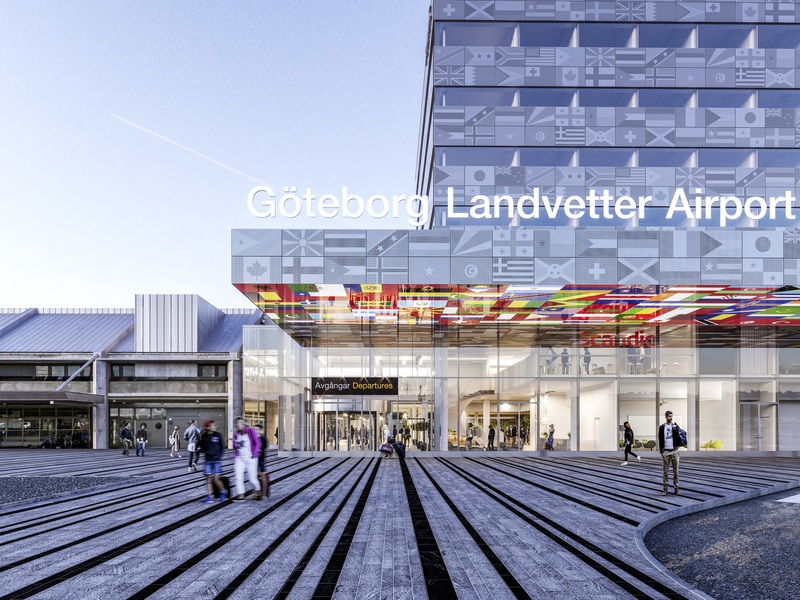 Work has begun on the northern expansion project for the main terminal at Göteborg Landvetter Airport in Sweden. Targeted improvements include a consolidated security checkpoint, a modern baggage facility capable of housing larger x-ray equipment, and an environmentally certified seven-story hotel operated by Scandic. The move means that construction is now underway on both the north and south side of the terminal after earlier works began in September 2017. 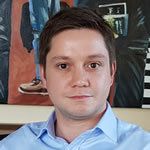 “We continue to develop the Göteborg Landvetter Airport of the future as Western Sweden’s gateway to the world, and we can do this very much thanks to the fine collaboration we have with stakeholders in the region,” said Jonas Abrahamsson, president and CEO of Swedavia. Instead of the traditional ground-breaking ceremony, Swedavia, the building contractor Peab and the hotel operator Scandic each placed an item in a time capsule. The capsule will be encased in cement for the new terminal building at a later date. The hotel operator Scandic chose to bury a water bottle made of recycled glass and a text about how they view sustainability. The building contractor Peab’s contribution to the capsule was an engraved handshake made of solid bronze as a symbol of keeping one’s promise. On Swedavia’s behalf, Charlotte Ljunggren, airport director at Göteborg Landvetter Airport, buried an action plan for fossil-free travel that the air transport industry recently submitted to the Swedish government. “Almost exactly one year ago, fossil-free aviation fuel was used to refuel aircraft for the first time at Göteborg Landvetter Airport, but there is currently a limited supply,” Ljunggren said. 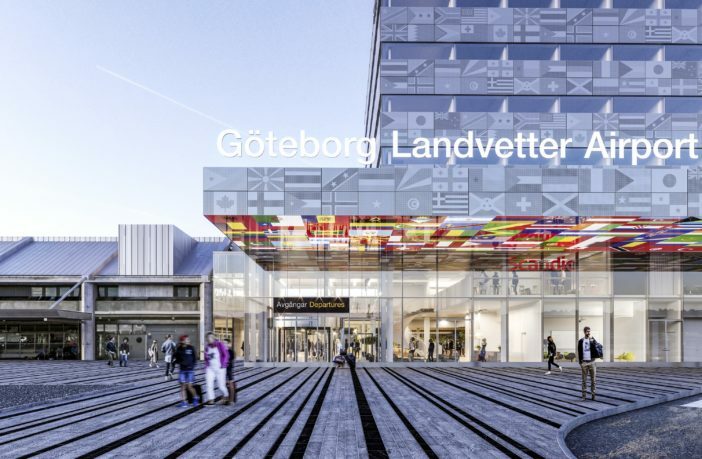 The total planned investment at Göteborg Landvetter Airport is expected to total Skr3bn (US$345m) with completion scheduled for 2025.